Atheists don’t believe we need God to understand what is right and wrong. Yet Christians point to a moral law that is written on our hearts by God, and our conscience testifies either for us or against us with regard to morality. Before I respond directly to the question raised in the title of this article, let me say a word about what I take to be the place of arguments for God’s existence. To the person who has walked with God for any length of time and who has experienced firsthand the reality of God’s work in his or her life, offering arguments for God’s existence can feel as awkward as planning a surprise birthday party for Auntie Jenny in her presence. I suppose most people do not believe in God as the end result of logically airtight conclusions built upon indisputable premises; they are first confronted with their own sinfulness and the need to be reconciled with a Holy God as encapsulated in the gospel message and then build a rational case for their newfound faith as questions, and sometimes doubts, arise. We should be careful not to overemphasize the intellect at the expense of the will. Just like any other good thing our Lord has freely given to us, we can use reason to conceal our flight from Him. When it comes to making a decision either for or against God, the defining issue is the deceptively simple question Jesus asked the disciples of John the Baptist who expressed interest in following Jesus, “What do you want?” (John 1:38). Doubt and skepticism are valid postures as long as they are motivated by the search for truth rather than a repudiation of it. What we want to be the case can keep us from accepting what is in fact the case, in spite of the amount of evidence at our disposal. Elsewhere, Jesus puts it this way, “Anyone who chooses to do the will of God will find out whether my teaching comes from God or whether I speak on my own” (John 7:17, emphasis added). I do not feel obliged to believe that the same God who has endowed us with senses, reason and intellect has intended us to forego their use and by some other means to give us knowledge which we can attain by them. So, what do our senses, reason, and intellect tell us regarding the existence of God? There are many different strands of evidence available to us in answer to this question. We could, for example, consider the origin and complexity of the universe, the presence of information in the DNA, the origin of life and consciousness, biblical history, including the resurrection of Jesus, and our immediate experience of God. In this article, I will concentrate on the moral nature of our universe, which I take to be one of the peskiest pointers to God for anyone who is intent on turning his or her back on Him. In what follows, I will offer some of the reasons why I believe we cannot make adequate sense of our experience of morality without God. My goal is not to focus on the moral argument as a whole but on the obligatory or normative aspect of the moral law that I will argue cries out for a moral lawgiver. As the philosopher Immanuel Kant noted several centuries ago, morality is largely constituted by categorical imperatives: nonnegotiable rules of behavior to which every human being must conform. I will argue that such a demand makes sense only if there exists a moral lawgiver who made us as moral agents capable of apprehending an objective moral standard external to us and applying it to ourselves. We exist in a world that comes packaged with a moral law that we did not invent. We discover it and once we do, we find that we are bound by it. This is, indeed, our Father’s world! Like hundreds of other young men and women I have met in my travels around the globe, my first foray into systematized philosophical thinking as it applies to Christian apologetics was occasioned by a “chance” encounter with the spellbinding lectures and messages of Ravi Zacharias, especially his 1992 Veritas Forum lectures at Harvard University that eventually found their way into his provocatively titled book Can Man Live Without God. I was barely out of my teenage years, and I had traveled to the US to study medicine. But God used Ravi’s messages to lead me on a different path as I came to terms with the infinite value of God’s Word, properly communicated. The rest, as they say, is history. When you say there is evil, aren’t you admitting there is good? When you accept the existence of goodness, you must affirm a moral law on the basis of which to differentiate between good and evil. But when you admit to a moral law, you must posit a moral lawgiver. Now, anyone who may be unfamiliar with the academic literature on the source of our moral intuitions might be surprised to learn that most philosophers who teach ethics, including atheists, accept almost each one of the claims Ravi makes in the above quote. In popular culture (and in a few academic circles as well), there are various attempts to explain morality in terms of evolution, social contracts, relativism, etc. Much of the interaction on moral issues tends to take place at that level in popular circles. And because there exists a gap between the academy and the so-called masses (and we are all members of the “masses” outside our professional or academic disciplines), addressing these topics in the manner in which the masses grapple with them is vitally important. But academic ethicists realize that morality is too central and binding a reality in human experience to be relegated either to individual or collective human will, desires, or beliefs. Nor can it be adequately understood on the basis of social contracts or evolution. That morality is objective, binding, and inevitable is most evident to us when we are either the victims of injustice or when our sympathies for the helpless are awakened. Everything within us cries out against such experiences. A number of years ago, I read a story about a woman who had given birth through C-section in a certain country. In the process of the delivery, something went horribly wrong. The doctors, one would hope inadvertently, inflicted deep wounds on the baby’s face. The baby could not breathe and breastfeed at the same time. The doctors assured the mother that the baby would be fine in a couple of days and encouraged her to take the baby home. Well, the baby got worse. When the mother took the baby back to the hospital, she discovered that, to her horror, the hospital staff had purged all the records of her ever having been to the hospital. They told her that if she ever set foot in that hospital again, they would call the police on her because of what she had done to her own baby. It is impossible for me to imagine any morally healthy person reading such a story without reacting strongly against the injustice. An unabashed craving for justice is deeply woven into the very fiber of our being, and it is strongly awakened in such moments. But as Ravi notes, such a reaction betrays the fact that we are very much aware of the existence of a moral law that applies to all of us. We can’t complain about evil without at the same time invoking the primacy of good, and to do so is to acknowledge that morality is objective. In my travels, I have discussed the claims I’ve made so far with a lot of people, including atheists. I find that most people accept our thinking thus far. They believe that there is something rationally duplicitous about claiming that there is an objective set of dos and don’ts imposed upon human beings while denying that God exists. If it be true (as it certainly is) that a man can feel exquisite happiness skinning a cat, then the religious philosopher can make one or two deductions. He must either deny the existence of God, as all atheists do; or he must deny the present union between God and man, as all Christians do. The new theologians seem to think it a highly rationalistic solution to deny the cat. Our experience of morality, especially when we are the victims of injustice, is too powerful to be illusory. To deny that there are things that are right, and others wrong, is as absurd as denying the cat as in Chesterton’s example. But if the point is so obvious, and if so many have turned to God on the basis of the pressure morality puts on their unbelief, how is it possible that some of the leading ethics professors in the best of our universities around the world can affirm the objectivity of morality while rejecting God? How do they manage to have their cake and eat it too? If you are reading carefully, you will note that I said that most ethicists, including atheists, accept almost each one of the claims Ravi makes in the quote above. So what part of the argument do they dispute? Unfortunately, the most hotly debated part of the argument also happens to be the most important, i.e., the direct link between morality and God. The controversy is centered on the last line of Ravi’s quote: the claim that it is not possible to have a moral law without a moral lawgiver. I take it that theists and atheists will agree about what it means to say that morality is objective: first, whether something is right or wrong does not depend on any human being’s attitudes toward it, and second, moral facts are independent of human will. Similarly, Erik Wielenberg, also an atheist, writes, “[My view] is non-theistic in that it implies that objective morality does not require a theistic founda­tion; indeed, the view implies that objective morality does not require an external foundation at all.” Other examples could be given. To understand how someone can accept that morality is objective while rejecting the existence of God, we will look at two of the best arguments for the position. These arguments are (1) we can make perfect sense of objective morality without God, and (2) invoking God in discussions about morality actually creates more problems than it solves. Before we delve into the arguments, let’s first say a word about “arguments” in logic. An argument in logic is not a quarrel. It is the juxtaposition of statements in such a way that the truth of one of those statements (called the conclusion) is entailed by the other statement(s), which are called premise(s). Logical consistency is one of the tests of the truth of a worldview, so logic is extremely important. But logic calls for clear thinking, which can be hard at times. Like Apostle Peter, I invite you to “gird up the loins of your mind” and join me on a mental adventure. It will be rough going in places, but I promise you the trip is more than worth it. As followers of Jesus Christ, logic is our friend, not our enemy. 1. Can we really make sense of objective morality without God? You know immediately and instinctively that the conclusion follows from the premises. In addition, if you pardon the pun, you know immediately that 2+2 is equal to 4. These are truths that are simply a part of reality, truths that we employ in our day-to-day lives without invoking God, or so the argument goes. According to this thinking, moral truths work the same way. They are just there as part of reality, and we apprehend them and use them in the same way we apprehend and use truths of logic and mathematics. We do not need God to apprehend and apply these truths to our lives. However, I hope you can spot a move that has been played on us, which makes this argument seem much more compelling so far than it really is. Namely, we have switched from talking about where morality comes from (what it is grounded in) to talking about how we know about morality. To use some fancy philosophical terms, the former is an ontological task (concerning the nature of reality), the latter an epistemological one (concerning the nature of knowledge and how we acquire it). The requirements of the law are written on our hearts, and our conscience testifies either for us or against us with regard to morality. That is why God judged Gentile nations in the Old Testament for their evil behavior, even though they did not have the Bible. They ought to have known better. That is why God judges people who have never read the Bible and who may not care about it. They ought to know better. So, we should not let a skeptic get away with saying that since we can tell the difference between right and wrong without appealing to God, we don’t need God to ground morality. A good number of skeptics think pointing out that we can tell the difference between right and wrong all by ourselves is enough to dissociate morality from God. It is not enough. How we learn about morality and what morality is grounded in are two very different questions. But if that were the only reason given for the claim that we can make sense of morality without God, the argument would be too weak to convince professional ethicists to accept morality while rejecting God, though it regularly works at the level of the masses. So we must now consider the second step taken in defense of the argument. Philosophers proceed to point out that logical, mathematical, and moral facts are necessary truths. When philosophers say that something exists necessarily, they mean that it has always existed and it will always exist. It is not possible for it not to exist. That, we should note, is what we believe about God. He is from everlasting to everlasting. His existence is uncaused—He simply exists. The argument follows similar logic in maintaining that, in addition to God who is a necessary Being, there are other necessary entities, and they include the laws of mathematics and the laws of logic. Laws of mathematics and logic simply exist. Even God, who is a rational Being, must follow these laws. He cannot violate them, the argument continues, and it makes no sense to ask where they came from or what they are grounded in. Now, if the laws of logic and mathematics can exist without any need for a logical or mathematical lawgiver, the argument continues, why can’t the laws of morality exist in the same way? Why do we need a lawgiver for the moral law but not for logical or mathematical laws? Those who insist on uncoupling morality from God obviously insist that we should understand the laws of morality in the same way that we understand the laws of logic and mathematics. The moral law also exists necessarily and it therefore doesn’t need to be grounded in anything. I hope you can now appreciate the reason why so many philosophers find this argument in support of the claim that we can make sense of morality without God compelling. But before we offer a response, let’s review the argument briefly. We are simply aware of the laws of morality in the same way we apprehend the laws of mathematics and logic. We responded by saying the question we are answering is not how we come to know about these laws but what they are grounded in. The part of the argument we are considering now is the claim that since these laws are unalterable, non-negotiable, and they exist necessarily, we therefore don’t need to ask where they come from or what they are grounded in. They have always existed, and they will always exist. Even God cannot change them. Now we must respond to this second strand of the argument. In response to the argument, we begin by noting a couple of things. First, we are now well beyond the boundaries atheists normally draw around the ultimate nature of reality. We are regularly told that all of reality can be fully explained by matter, energy, and the interactions that take place among or within material particles. With the argument we are now considering, the story shifts dramatically. In addition to material particles and energy, we now have an entirely different realm of reality—a reality that consists of abstract entities that exist necessarily and to which human beings are subject. That is no small shift. We now have one foot in the unseen world, where God lives. Exit materialism, to which much of the modern atheistic movement is intricately wedded. Secondly, the claim that the laws of logic, mathematics, and morality do not need to be grounded in anything since they exist necessarily needs to be defended, not just asserted. Showing that something exists necessarily is not the same thing as showing that it needs no explanation for its existence. The assumption here seems to be that necessary truths cannot stand to one another in relations of explanatory priority. Not only do I see no reason to think that assumption true, but it strikes me as obviously false. For example, “States of consciousness exist” is necessarily true, since “God exists” is necessarily true. That is to say, the fact that a personal, metaphysically necessary being like God exists explains why it is necessarily true that states of consciousness exist. To give a nontheological example, the axioms of Peano arithmetic are explanatorily prior to “2+2=4”, as are the axioms of Zermelo-Fraenkel set theory to the theorems thereof. Thus one can argue that the laws of mathematics, logic, and morality are all grounded in God. They exist necessarily, but they are also in need of explanation, and that explanation is God. Although much more could be said about this, I would like to pursue a different line of thinking in order to show that the moral law does indeed require a moral lawgiver. I will argue that, even if we grant for the sake of the argument that we don’t need to appeal to God to explain the laws of logic and mathematics, morality is sufficiently different from logic and mathematics to demand a moral lawgiver. Specifically, my claim is that the fact that morality contains within it a normative or obligatory character does indeed presuppose the existence of a lawgiving, transcendent Personal Being. In other words, morality is agent-centered—it requires a thinking being with the authority to issue commands. But before we look at that response in more detail, let us examine briefly the second argument given for the claim that morality is not grounded in God. 2. Does invoking God in morality create more problems than it solves? At this point, the skeptic has another weapon in his arsenal. For someone who is not philosophically inclined, the subtlety of this argument can easily make it seem quite abstract and irrelevant, not to mention bewildering. So, once again, I implore you to gird up the loins of your mind. We’ve come too far—it’s too late to turn back now! The commands of a legitimate human ruler do not create obligations: if such a ruler tells you to do X, this makes it obligatory for you to do X only if it is already obligatory for you to do whatever the ruler tells you (within the sphere in which X lies). The same applies to God. He can make it obligatory for us to do Y by so commanding only because there is first a general obligation for us to obey him. His commands, therefore, cannot be the source of moral obligation in general. We could respond by saying that God has the authority to issue commands, yet a human being, like Bill, doesn’t. Given who God is, I am under his authority and I must obey his commands. The crucial point here is this: Just as Bill cannot make it the case that you ought to obey the commands he issues just by issuing that as a command, God cannot make it the case that you ought to obey Him just by commanding you to do so since, if you are not already obligated to obey Him, you would not need to worry about this command either. You obey his commands because there is an antecedent, independent obligation owed to Him simply because of who He is, whether He has issued any commands or not. But that creates a problem for our original claim that our obligations are commands issued by God. We have said that God doesn’t need to issue any commands for it to be the case that I am obligated to obey his commands. But if I am already obligated to follow God’s commands before He issues any commands, then it follows that there is at least one obligation that is just true, namely, the obligation to follow any command God issues. Here is the linchpin of the argument: if it is possible for there to be just one moral obligation that is simply true, i.e., one that is independent of any commands issued by God, why can’t we say the same thing about all the other obligations, especially if we concede that moral truths exist necessarily? So if [this] argument successfully shows that not all obligations can be explained by God’s commands, then it looks like it must also show that not all obligations can be explained by self-interest, by hypothetical contracts, by what would maximize the good, by what is in accordance with rules no one could reasonably reject, or any other source. In other words, we are left with no possible way of offering an explanation for the source of our moral obligations. The skeptic set out to uncouple obligation from God and ended up making the idea of obligation even more mysterious. The reason this has happened is because the attempt to show that obligations do not come from God rests on an equivocation. We are obligated to do what God commands. There exists an antecedent obligation to obey whatever God commands. In order to make the argument against explaining our moral obligations in terms of God’s command work, the skeptic must assume that the second statement above is true. But the theist is not at all committed to the second statement; all the theist needs is for the first statement to be true. There is no antecedent, mysterious obligation that needs to be explained. The moral of the story thus far is that even the best of the reasons routinely given for thinking that we do not need to appeal to God to ground morality do not succeed. If there is a moral law, there must be a moral lawgiver. But we can strengthen the argument even further by showing that morality, and specifically moral obligation, is both agent-relative (it can only arise in the case of persons) and objective (it transcends human will). If moral obligation is grounded in a person (or persons) and it is not dependent on human beings, then it must be grounded in a supernatural Person, i.e., God. We normally take it for granted that we have obligations to do or not do certain things. When tragedy strikes, our political leaders invoke this sense of obligation to justify the actions they believe we should support. Speaking about the need for the US to take care of its veterans, President Obama stated, “The bond between our forces and our citizens has to be a sacred trust, and that for me, for my administration, upholding our trust with our veterans is not just a matter of policy, it is a moral obligation.” It’s a common assumption that we have the moral obligation to act in certain ways. Morality binds us, leaving us with no choice in the matter. Shame and guilt are the result of disregarding the dictates of morality. But as far back as 1958, Cambridge philosopher Elizabeth Anscombe argued that the concept of moral obligation in Western philosophy has its roots in Christianity, which conceives of ethics, and especially moral obligation, in terms of laws given by God. With the abandonment of Christianity among many in Western philosophy, Anscombe counseled her fellow philosophers to jettison the concept of obligation as well since its metaphysical foundation was no longer plausible for them and talk of obligation has thus become incoherent. We do not call anything wrong unless we mean to imply that a person ought to be punished in some way or other for doing it—if not by law, by the opinion of his fellow creatures; if not by opinion, by the reproaches of his own conscience…. It is a part of the notion of duty in every one of its forms that a person may rightfully be compelled to fulfill it. Duty is a thing which may be exacted from a person, as one exacts a debt. Not only are certain things wrong to do, we are prohibited from doing them. Not only are some things good to do, we are required to do them. As Mill notes, duty is something we owe in the same way we owe debts. One is hard-pressed to make sense of owing duties (and debts) to no one in particular. The best way to make sense of talk of duties is in a social context where duties (like debts) are owed to other persons. I think it’s a conceptual truth that what we are morally obligated to do is what we are responsible to the moral community for doing. Exactly who is the moral community is itself contestable. Theological voluntarists might believe it is really just God. You and I might believe it is just persons—people who are capable of holding one another morally responsible. As is evident from the quote, Darwall defends a secularist approach to morality. Similarly, Susan Wolf, another secularist philosopher, points out that it is not enough to say that moral requirements are requirements of morality; that to follow moral obligations is simply to do what morality requires of us. When we demand of people that they live up to their moral duties, “…we mean to say that we require [them to do so] on moral grounds or for moral reasons.” For Wolf, the “we” that stands behind these requirements is the social community. In other words, human beings are the moral community that gives obligation its normative force. The point made thus far is that moral obligation is a social concept. Accountability makes sense only if we are accountable to other persons. In the next section, we will see that the Person we are ultimately responsible to is God. Since obligation is not only a social concept but also an objective one, the existence of God makes the most sense of our experience of morality. Human societies or communities cannot adequately account for moral obligation. But it is important to address a common misconception about the normative character of morality in a more direct way. It is often assumed that reason by itself is adequate to give us all we want in terms of knowing and acting upon our moral obligations. What is moral to do, the claim goes, is what is reasonable to do. But although morality is indeed reasonable, the relationship between the two is not as clear cut as the foregoing claim implies. It is one thing to have good reasons to do something and quite another to be obligated to do it. Having reasons to perform an action does not necessarily imbue one with the kind of obligation morality requires. To the extent that I have done something morally wrong, I have something to feel guilty about. To the extent that I have done something irrational, I have merely something to feel silly about—and the latter is much less serious than the former. The only time when failure to heed the demands of reason bears serious consequences is when there is a moral component involved. For example, an error of calculation in designing a bridge is more serious than getting an answer wrong on an engineering examination. Moral obligation has a certain, distinct characteristic that gives it its compulsive force with blameworthiness or guilt attached to it. Moral obligation has the unique capacity to override any other reasons we may have to do or not to do something. Such a decidedly law-like character of obligation makes sense within a social context where demands or imperatives and accountability are in force. Moral obligation is a social concept: it is based on the assumption that there are persons involved. So far we have seen that we have good reasons to think that moral obligation is a social concept. As already mentioned, many philosophers agree with this conclusion. Some of those who argue that obligation is a social concept claim that human societies can adequately account for it. It is the society, period, that places moral demands on its individual members. But while it is true that we have obligations that are created by the societies to which we belong, the imperatival force of morality makes it doubtful that appealing to the society can account for the entire range of the obligations we acknowledge. To begin with, societies often err in prescribing behavior for their members. For example, those who obediently followed the laws issued by the Nazis during the Second World War were indeed carrying out their societal obligations. But their society was gravely mistaken about the obligations morality prescribed for its citizens. This suggests strongly that moral obligations are not decided by the society. They are objective—what we are obligated to do transcends individual or the collective human will, desires, or beliefs. Thus unless there is a law above human law, it is hard to see how we can justify our claim that some things commanded by certain societies are wrong. I had thought I was a secularist because I conceived of right and wrong as standing on their own two feet, without prop or crutch from God. We should do the right thing because it is the right thing to do, period. But this was a God too. It was the Godless God of secular morality, which commanded without commander—whose ways were thus even more mysterious than the God I did not believe in, who at least had the intelligible motive of rewarding us for doing what He wanted. All I can say is this: it looks as if we are all we have. Given what we know about ourselves and each other, this is an extraordinarily unappetizing prospect; looking around the world, it appears that if all men are brothers, the ruling model is Cain and Abel. Neither reason, nor love, nor even terror, seems to have worked to make us “good,” and worse than that, there is no reason why anything should. Only if ethics were something unspeakable by us, could law be unnatural, and therefore unchallengeable. As things now stand, everything is up for grabs. Starving the poor is wicked. Buying and selling each other is depraved. Pol Pot—and General Custer too—have earned salvation. Those who acquiesced deserve to be damned. There is in the world such a thing as evil. [All together now:] Sez who? Secondly, the demands of morality frequently conflict with our self-interests in a way that suggests that they transcend mere individual or societal conventions. If we were solely responsible for assigning moral obligations to ourselves, why would we make them so difficult to fulfill, and why do we keep on trying to meet them when we have proven that we are incapable of doing so perfectly? Why not adjust our obligations to match our practical abilities? Our very struggle in this area shows that we recognize the transcendent, otherworldly source of our moral obligations. Of man’s bedevilment and God’s! To Saturn nor to Mercury. In Christian terms, we should be moral because we are moral beings made by a moral God in his image. We find our proper telos or purpose when we become what we were originally intended to be. That process begins in this life and continues on to the next, where it will be fully perfected. Morality doesn’t always keep its promises in this life; not only do nice guys not always finish last—sometimes they don’t finish at all. But if this life is not all there is, then the scales will eventually be evened out, and morality and happiness will one day coincide. I find it absolutely mystifying that some would choose to deny the reality of morality rather than acknowledge the fact that it indeed points us to God. That is their prerogative, though in the end they will find themselves “without excuse”: “For since the creation of the world God’s invisible qualities—his eternal power and divine nature—have been clearly seen, being understood from what has been made, so that people are without excuse” (Romans 1:20). Thankfully, there are many others who have found their way to the cross after pondering the implications of an objective morality that is simply a part of the fabric of the universe. After discussing some of the points I have raised here with a seemingly hardened, lifelong atheist university professor, he completely caught me off-guard by confessing to me that the argument makes his atheism untenable. I have seen students give their lives to Christ when they learn how to think clearly about morality and when they consider what the gospel of salvation has to offer them—not just for this life, but also for the life to come, as we will see at the conclusion of this article. The Christian has a ready and compelling answer to the question: morality comes from a God who made us in his image and who makes it possible for us to apprehend and apply morality to our lives. Christianity makes an empirically verifiable diagnosis of our spiritual condition; we have broken God’s law. We are at odds with a system of morality that we did not invent, and we stand condemned. But Christianity does much more. It offers a solution to the human condition through the Cross of Christ. At the cross, God marvelously honors his justice while demonstrating his infinite love at the very same moment. And, finally, the Word of God promises that we will one day be made morally perfect. At that point, morality will no longer be a subject of debate—we will just live it out the way we breathe oxygen today, only without the threat of air pollution. Imagine that: we will one day live beyond right and wrong! In addition to accounting for the objectivity and agent-centeredness of moral obligation, Christianity fulfills and complements morality itself in ways naturalism can never hope to do. When we are honest with ourselves, we all know that we fail to keep the moral law that we know exists. And our failure to keep it is more than just a matter of ignorance; it bears the marks of what the Bible calls rebellion against God. As a result, we all stand in need of forgiveness. The Bible thus offers both an accurate diagnosis of the human heart as well as the solution for our primary malady. What the Tempter meant was not that Adam and Eve would know about good or evil or that some things were wrong to do. They must have known that already, or the command not to eat from the tree of the knowledge of good and evil would not have made any sense to them. What the Tempter meant was that Adam and Eve did not need to let God define good and evil for them; they could determine that for themselves. Marks detects the same spirit in the denial of God’s place in morality in contemporary philosophical ethics. When that happens, we become incapable of appreciating and appropriating the power of the gospel in our lives. This gospel is the forgiveness of sin and the necessity of Christ’s death on the cross—revealing also that human beings are morally at odds with God’s righteousness. When we complain about evil, we do indeed presuppose the reality of the good. Good and evil invoke an objective standard of right and wrong. Such a standard in turn points us to the God who made us, not just so we can recognize and apply morality to our lives in this life, but so that we can actually enter into an intimate relationship with God and a process of discipleship in his kingdom that begins to prepare us for the noblest existence possible: being in God’s presence forever. We know that we flout not only God’s standards, but also our own. How wonderful to know that forgiveness and eventually eternal restoration are available for people like us. What an incredible promise: that one day we will be able to live beyond right and wrong! 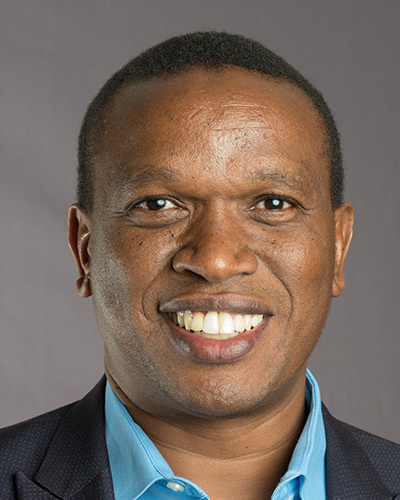 John Njoroge is a member of the speaking team at Ravi Zacharias International Ministries and wrote his PhD on this subject. I am convinced the reverse is also true: most people do not reject the faith due to arguments. They develop arguments to defend a position they’ve already accepted on other grounds. Galileo, Letter to the Grand Duchess Christina of Tuscany Galileo, 1615. Ravi Zacharias, Can Man Live Without God (Dallas: Word Publishing, 1994), 182. I should note that in this article I use the terms “morality” and “ethics” interchangeably. GK Chesterton, Orthodoxy, (Wheaton, IL: Harold Shaw Publishers, 1994), 11. Louise Anthony, “The Failure of Moral Arguments,” in Debating Christian Theism, edited by JP Moreland, et. al. (Oxford: Oxford University Press, 2013), 110-111. Erik J. Wielenberg, “In Defense of Non-Natural, Non-Theistic Moral Realism,” Faith and Philosophy, vol. 26 no. 1 (January 2009), 24. William Lane Craig, “The Most Gruesome of Guests” in Is Goodness Without God Good Enough?, ed. Robert Garcia and Nathan L. King (Lanham, MD: Rowman & Littlefield Publishers, 2009), 170. Quoted in Did God Really Command Genocide? : Coming to Terms with the Justice of God by Paul Copan and Matthew Flannagan (Grand Rapids: Baker House, 2014), 157. Mark Schroder, “Cudworth and Normative Explanations,” in Journal of Ethics and Social Philosophy, vol. 1, no. 3 (October 2005), 4. For an extended discussion, please see Schroder’s article and Copan and Flannagan’s relevant section in their book. G.E.M. Anscombe, “Modern Moral Philosophy,” in Philosophy, 33, no. 124 (January 1958). John Stuart Mill, “Utilitarianism” (originally published in 1861), in Hackett edition, 1979, 47-48. It is important to note that duty, or obligation, holds even when no punishment is intended. All that is needed is for there to be a person with the authority to issue a command. Stephen Darwall, “The Second-Person Standpoint,” in The Harvard Review of Philosophy, vol. XVI 2009, 125. Susan Wolf, “Moral Obligations and Social Commands,” in Metaphysics and the Good: Themes From the Philosophy of Robert Merrihew Adams (Oxford: Oxford University Press, 2009), 351. C. Stephen Evans, God and Moral Obligation (Oxford: Oxford University Press, 2013), 9-10. Robert Merrihew Adams, Finite and Infinite Goods: A Framework for Ethics (Oxford: Oxford University Press, 1999), 238. Joel Marks, “Confessions of an Ex-Moralist,” http://opinionator.blogs.nytimes.com/2011/08/21/confessions-of-an-ex-moralist/?pagemode=print. 21 Arthur Leff, “Unspeakable Ethics, Unnatural Law” Duke Law Journal, Vol. 1979, No. 6, 1249, online at http://digitalcommons.law.yale.edu/cgi/viewcontent.cgi?article=3810&context=fss_papers. 23 Christine Korsgaard, The Sources of Normativity (Cambridge: Cambridge University Press, 1996), 9. 24 Chuck Colson, Born Again (Grand Rapids: Chosen Books, 2008), 134. 26 Joel Marks, Ethics without Morals: In Defence of Amorality (Routledge Studies in Ethics and Moral Theory) (Kindle Locations 412-414). Taylor and Francis. Kindle Edition. 27 George Mavrodes, “Religion and the Queerness of Morality” in Rationality, Religious Belief and Moral Commitment: Essays in the Philosophy of Religion, edited by Robert Audi and William J. Wainwright (Ithaca, NY: Cornell University Press, 1986), 213-226. 28 CS Lewis, Mere Christianity (New York: Simon & Schuster, 1996), 132.